It all began when Blaze Sanecki and Pawel Matysik, friends working in the company, got tired of creating casual games for mobile platforms. They quit their jobs and formed a team of their own. The goal was simple: to make story oriented games that will force players to think. 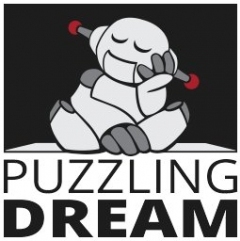 They called themselves Puzzling Dream, and decided to base their first project on their most loved childhood games. This is how "The Way" was born. Now, after the first success, the team has expanded in order to create bigger, more ambitious projects.